What Is Waterless Hand Sanitizer? Hand sanitizers may contain aloe vera gel to lubricate the skin. 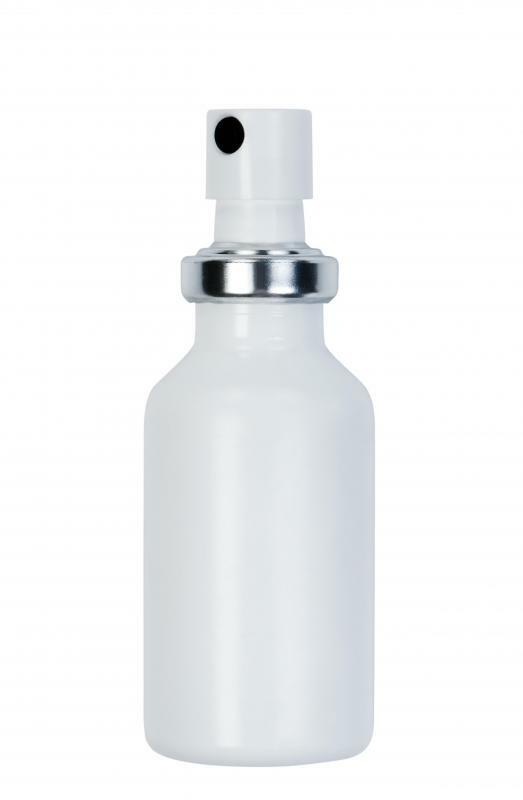 Waterless hand sanitizer is available in spray bottles. Hand sanitizers may be used when hand washing isn't possible. Using waterless hand sanitizer is more convenient than washing hands in many situations. Waterless hand sanitizer is a gel, liquid, or foam-based cleanser that kills bacteria on human hands. Its name comes from the fact that users don’t need to be near water in order to use it. The sanitizer is usually translucent and often colorless, and it may or may not have visible additions like dissolvable beads containing moisturizer. The active ingredient is usually alcohol, but non-alcohol-based sanitizers exist and use active ingredients like benzalkonium chloride. 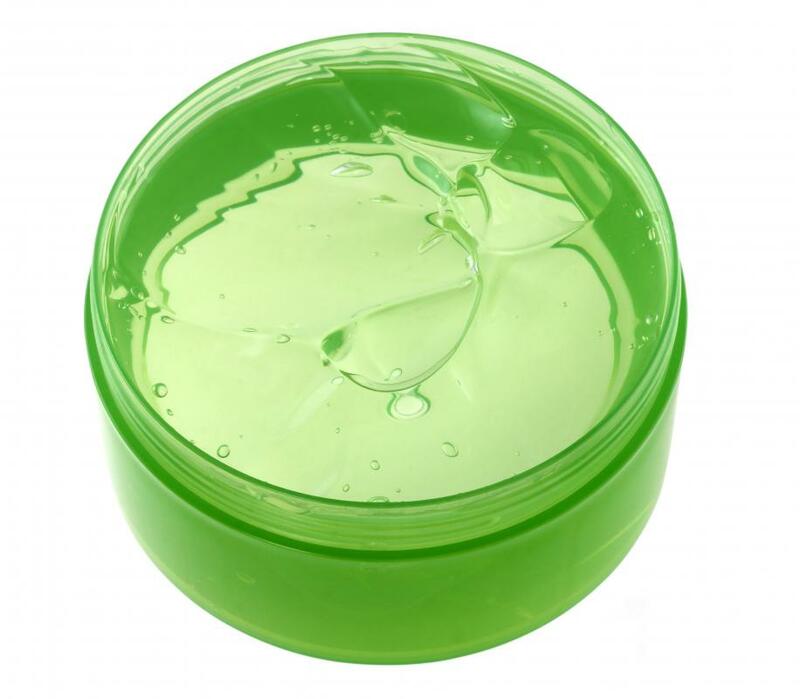 Inactive ingredients can include moisturizers, fragrances, colors and herbal products like aloe. Alcohol-based waterless hand sanitizer have a better reputation for killing germs than non-alcohol-based sanitizers, though the non-alcohol sanitizers are better than using nothing to clean the hands. Waterless hand sanitizer has become very common in hospitals and doctors’ offices, which have added dispensers in order to increase the number of people cleaning their hands, as regular hand washing with soap and water doesn’t always have a high compliance rate. Schools sometimes require students to carry a bottle of sanitizer along with their school supplies. These sanitizers are available in small bottles that fit in purses and backpacks, and their portability is one aspect that has made their use increase. Medical professionals and health departments recommend using waterless hand sanitizers if soap and water aren’t available for hand washing. They also note that if a person’s hands aren’t visibly dirty and the person doesn’t feel anything on their hands, that person may use sanitizer to clean their hands. Situations in which sanitizer is not a good idea are when there is visible dirt on the hands or under the fingernails, after handling or being around animals, and when the person has been in an area known to be contaminated with Cryptosporidium, a bacteria that is not as responsive to the sanitizer. The alcohol in a waterless hand sanitizer is not the kind that is drinkable, so anyone who has attempted to do so should seek medical attention immediately. Some sanitizers also contain fragrances that could aggravate sensitivities or allergies in people. This was initially a disadvantage for companies selling the sanitizers because manufacturers thought the fragrances would be well-liked, when not everyone wanted to smell them. 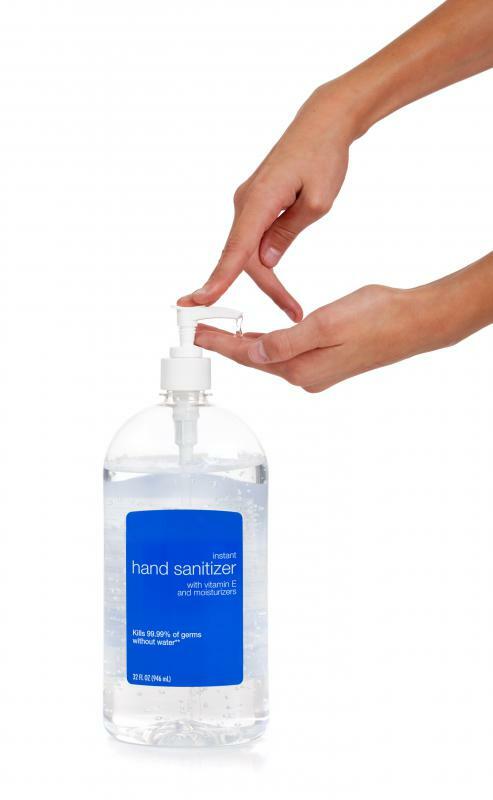 Antimicrobial or antibacterial resistance is not an issue with waterless hand sanitizers that contain alcohol. These do not contain the same antibacterial ingredients as antibiotics. Non-alcohol-based sanitizers that contain triclosan might be another issue, however. Triclosan is an antimicrobial ingredient that works in a way similar to those antibiotics that have been involved in the increasing incidence of antibacterial resistance. How Do I Choose the Best Alcohol-Free Sanitizer? How Do I Choose the Best Wholesale Hand Sanitizer? What is the Connection Between Infection Control and Hand Hygiene? What are the Different Types of Foam Hand Sanitizer? What are the Different Types of Hand Sanitizer Spray? What is a Gel Sanitizer?